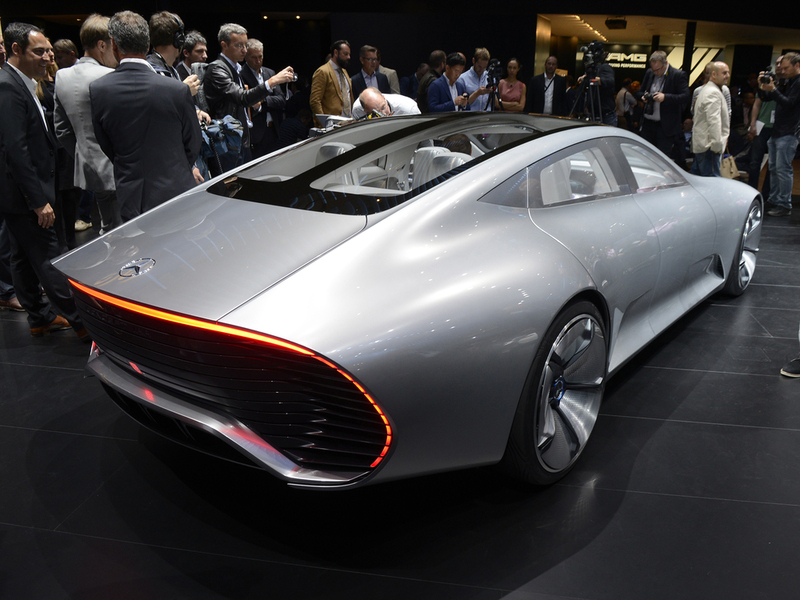 Mercedes has unveiled a Concept IAA (Intelligent Aerodynamic Automobile) in Frankfurt. The coupe switches automatically from 'design mode' to 'aerodynamic mode' when the vehicle reaches a speed of 50mph, where numerous aerodynamics measures alter the shape of the vehicle, resulting in a Drag Coefficient value of 0.19. At the touch of a button (or when 50mph is reached) eight segments extend at the rear, increasing its length by up to 390 millimetres, while front flaps in the front bumper extend by 25 mm to the front and 20 mm to the rear, improving the air flow around the front end and the front wheel arches. The Active Rims also alter their cupping from 55 mm to zero and the louvre in the front bumper moves 60 mm to the rear, improving the underbody air flow. Mercedes says the Concept IAA interprets classic sports car proportions in a 'modern vein' with the long bonnet flowing aerodynamically into the compact, set-back greenhouse, whose roof slopes down towards the rear, ending in an airflow break-away edge. The sporty, minimalist front of the show car features a 'shark nose' profile. 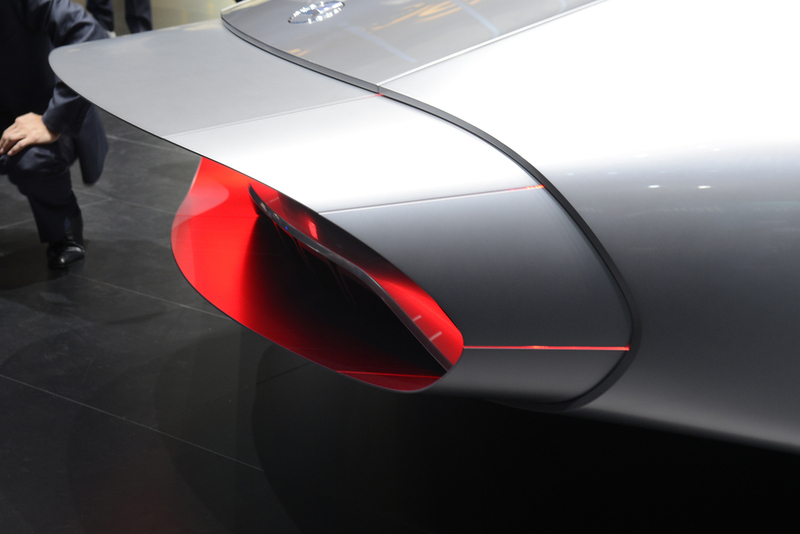 Like the front, the show car's rear end also features horizontal louvres, lending structure to the shape of the rear end. The side view shows the concept's pronounced wheel arches. The car is powered by a petrol/electric plug-in hybrid drive with a total output of 205 kW (279 hp) and an electronically limited top speed of 155mph. CO2 emissions and electric range depend on the mode in which the vehicle is tested: in aerodynamic mode the Concept IAA manages an all-electric range of 41 miles and emits 28g/km CO2 emissions. In design mode the range stands at 38.5 miles and CO2 emissions 31g/km. Mercedes is keen to point out as urban driving is accorded a two-thirds weighting in the current New European Driving Cycle (NEDC), the 'advantage of aerodynamic mode is not revealed as clearly in this test as in real-life driving'. Inside, the concept continues the design line of the S-Class and S-Class coupe, while offering new touch-based functions which provides an idea of what the interior of a business saloon might look like in the near future. The two-spoke steering wheel is a progressive further development of Mercedes' steering wheel philosophy while also incorporating touch-based operating functions.